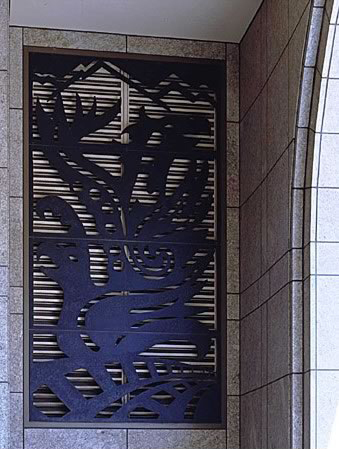 Michael Amescua's decorative and functional art elements grace several areas throughout the Gateway Transit Center. His painted metal screens house figurative panels of flora and fauna, including birds, butterflies, and reptiles. The work takes its inspiration from the Latin American custom of papel picado, or paper cutouts; these cutouts are often seen during religious festivities and celebrations. The taut, compressed images are easily read from both close-up and afar. 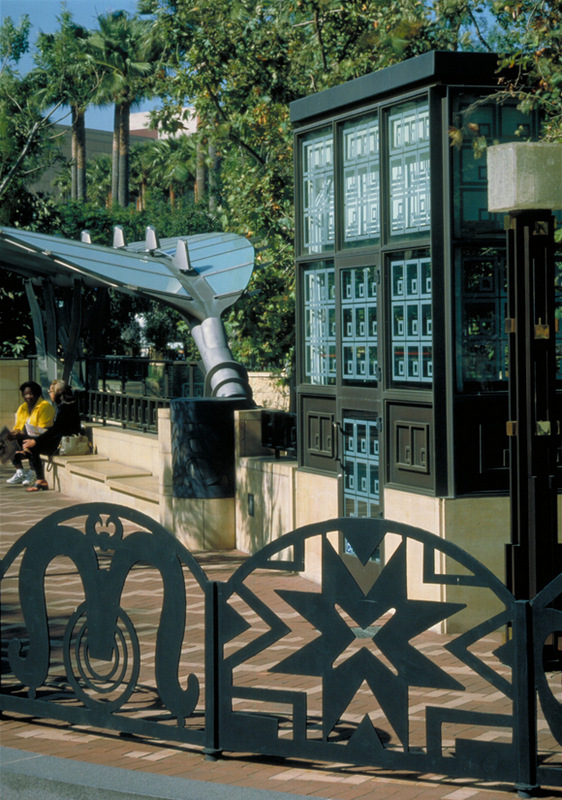 The painted screens are located at the Cesar Chavez/Vignes Street entrance, bus plaza areas, and on the Metro Headquarters Building exterior facade. "My railings are intended to guard riders, buses, trains and the people who work to maintain our transit system."